ATF Form 4 generation is a complimentary service of Silencer Shop. Silencer Shop does not store, review, or validate any information entered on this site. By clicking the Generate Form 4 button you accept responsibility for the accuracy and validity of the information entered. Is the person acquiring the firearm (Transferee) a FFL? Spending more time on paperwork than on running your business? 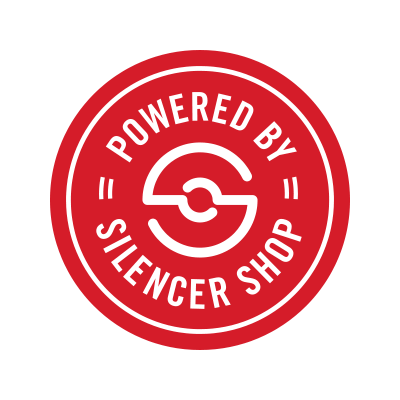 Powered By Silencer Shop dealers are able to focus on their business because they trust Silencer Shop to handle the NFA overhead. Click &apos;Learn More&apos; to find out how Silencer Shop can make your life easier and more profitable. Is the person selling or otherwise disposing of a firearm (Transferor), including applying to transfer a firearm, a FFL? Tired of tracking your customers&apos; CLEO notifications? Since July 2016, every responsible person must submit a copy of their Form 4/23 to their CLEO. However, did you know that not every field is required on these notifications? Click &apos;Learn More&apos; to find out how Silencer Shop can help with this tedious requirement, which will reduce stress and save valuable time. 14d. Are you an unlawful user of, or addicted to, marijuana or any depressant, stimulant, narcotic drug, or any other controlled substance? 14f. Have you been discharged from the Armed Forces under dishonorable conditions? 16b. Have you ever renounced your United States citizenship? 16c. Are you an alien Illegally or unlawfully in the United States? 16d.1. Are you an alien who has been admitted to the United States under a nonimmigrant visa? Provide the full name below for each Responsible Person associated with the applicant trust or legal entity. Please note that a completed Form 5320.23, National Firearms Act (NFA) Responsible Person Questionnaire, must be submitted with the Form 4 application for each Responsible Person. 6d. Are you an unlawful user of, or addicted to, marijuana or any depressant, stimulant, narcotic drug, or any other controlled substance? 6f. Have you been discharged from the Armed Forces under dishonorable conditions? 7b. Have you ever renounced your United States citizenship? 7c. Are you an alien Illegally or unlawfully in the United States? 7d.1. Are you an alien who has been admitted to the United States under a nonimmigrant visa?